IBM will acquire all of the issued and outstanding common shares of Red Hat for $190.00 per share in cash, representing a total enterprise value of approximately $34 billion. IBM and Red Hat will be strongly positioned to address this issue and accelerate hybrid multi-cloud adoption. Together, they will help clients create cloud-native business applications faster, drive greater portability and security of data and applications across multiple public and private clouds, all with consistent cloud management. In doing so, they will draw on their shared leadership in key technologies, such as Linux, containers, Kubernetes, multi-cloud management, and cloud management and automation. Notably, the announcement specifically refers to multi-cloud adoption, and that the company intends to “build and enhance” partnerships with Amazon Web Services (AWS), Microsoft Azure, Google Cloud and Alibaba. Red Hat will be a “distinct unit” within IBM, the intention being to preserve its open source culture and independence. My own instinct is that we will see more IBM influence on Red Hat, than Microsoft influence on GitHub, to take another recent example of an established tech giant acquiring a company with an open source culture. IBM is coming from behind in the cloud wars, but with Linux ascendant, and Red Hat the leader in enterprise Linux, the acquisition gives the company a stronger position in today’s technology landscape. Apparently there are rumours concerning Windows on a Chromebook. I find this completely plausible, though unlike Barry Collins I would not recommend dual boot – always a horrible solution. Rather, when I recently explored about Chromebooks and Chrome OS, it was like the proverbial lightbulb illuminating in my head. 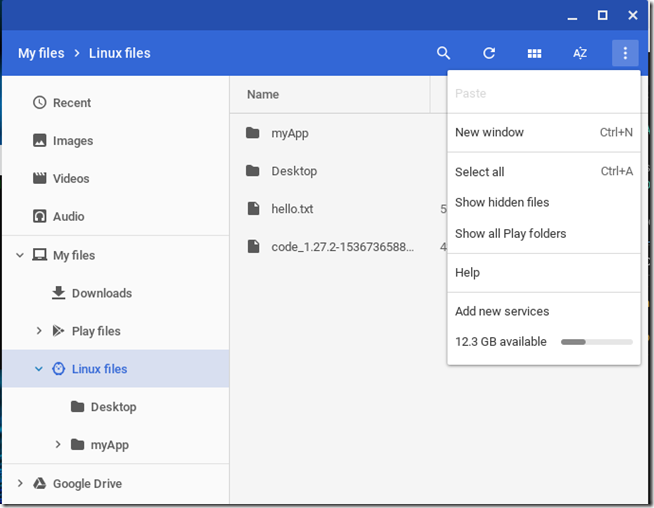 Containers (used to implement Linux and Android on Chrome OS) change everything. It makes total sense: a secure, locked-down base operating system, and arbitrary applications running in isolated containers on top. 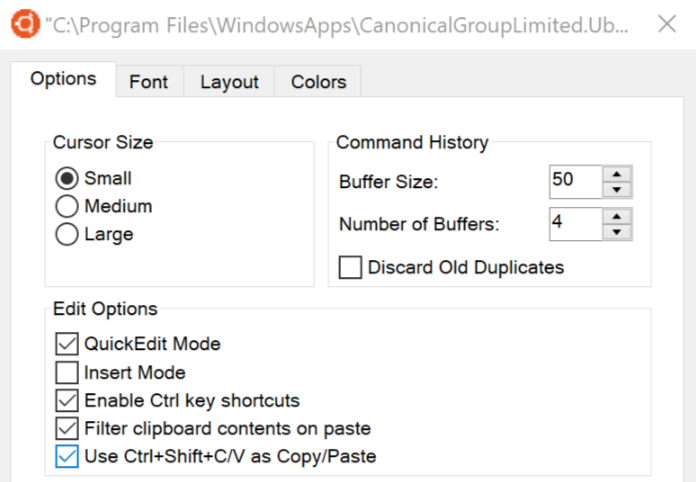 Could Chrome OS run Windows in a container? Not directly, since containers are isolated from the host operating system but share its base files and resources. However you could run Windows in a VM on a Chromebook, and with a bit of integration work this could be relatively seamless for the user. Systems like Parallels do this trick on MacOS. Instead of the wretched inconvenience of dual boot, you could run a Linux app here, and a Windows app there, and everything integrates nicely together. Microsoft could also re-engineer Windows along these lines. A lot of the work is already done. Windows supports containers and you can choose the level of isolation, with either lightweight containers or containers based on Hyper-V. It also supports Linux containers, via Hyper-V. Currently this is not designed for client applications, but for non-visual server applications, but his could change. It is also possible to run Linux containers on the Windows Subsystem for Linux, though not currently supported. Windows RT failed for a few reasons: ARM-only, underpowered hardware, Windows 8 unpopularity, and most of all, inability to run arbitrary x86 Windows applications. A container-based Windows could have the security and resilience of Windows RT, but without these limitations. So I can imagine Google giving us the ability to run virtual Windows on Chrome OS. And I can imagine Microsoft building a future version of Windows in which you can run both Windows and Linux applications in isolated environments. 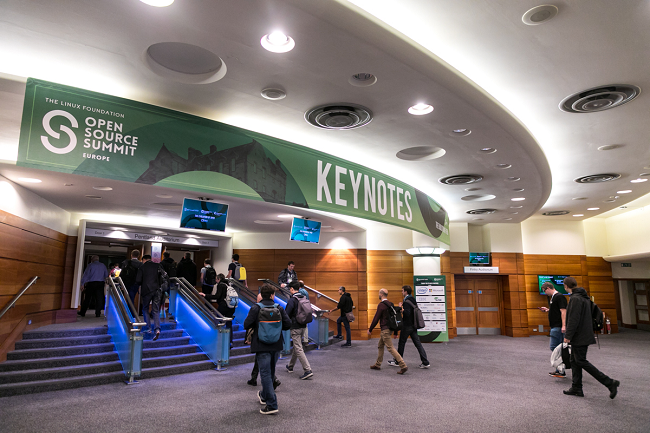 The Linux Foundation Open Source Summit kicked off in Edinburgh today, with Executive Director Jim Zemlin declaring that the organization is now adding a new member daily. 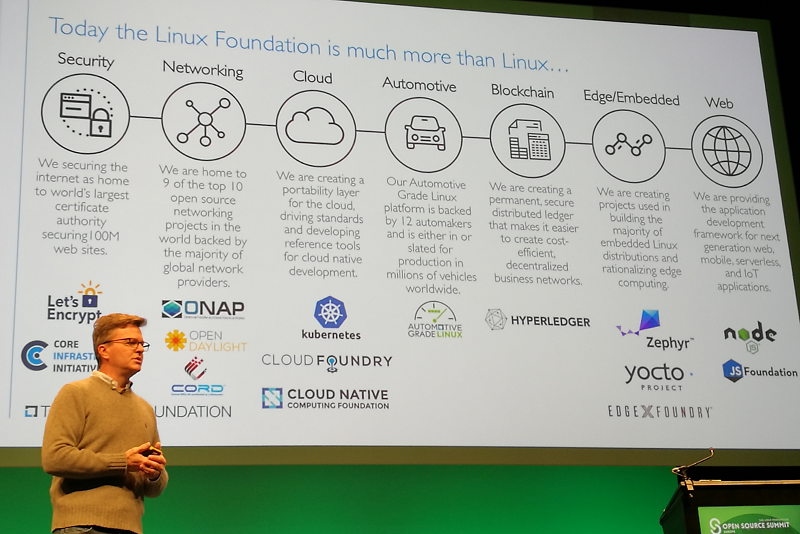 The Linux Foundation oversees over 150 open source projects, including Linux, Kubernetes, Let’s Encrypt, Cloud Foundry and Cloud Native Computing Foundation, and has over 1320 members. Microsoft has been a member for several years, but has now also signed up to the Open Invention Network (OIN), promising patent non-aggression to other licensees. It is a significant move which has boosted both the OIN and the Linux Foundation. What are the implications for Linux? Nobody known; though LWN’s Jonathan Corbet spoke at this morning’s keynote to assure us that a new code of conduct in which kernel developers promise to be nicer to each other will be a good thing. I interviewed Zemlin today and will post more from the event soon. Editors, documentation, locales and other user-oriented features of Ubuntu Server have been removed. What remains are only the vital components of the boot sequence. Images still contain ssh, apt and snapd so you can connect and install any package you’re missing. The unminimize tool lets you ‘rehydrate’ your image into a familiar Ubuntu server package set, suitable for command line interaction. 29MB is pretty small; but not as small as Alpine Linux images, commonly used by Docker, which are nearer 5MB. Of course these image sizes soon increase when you add the applications you need. I pulled Ubuntu 18.04 from Docker Hub and the image size is 31.26MB so this hardly seems a breakthrough. Canonical quotes Paul Nash, Group Product Manager for Google Cloud Platform, in its press release. The image is being made available initially for Amazon EC2, Google Compute Engine, LXD, and KVM/OpenStack. The kernel has been optimized for each deployment, so the downloadable image is optimized for KVM and slightly different than the AWS or GCP versions. Apparently partial dmesg support in WSL is on the way, previewed in Build 17655. Note: be cautious about fully uninstalling MySQL if you have data you want to preserve. Export/backup the databases first. Microsoft and GitHub, and will GitHub get worse? Microsoft has announced an agreement to acquire GitHub for $7.5 billion (in Microsoft stock). Nat Friedman, formerly CEO of Xamarin, will become GitHub’s CEO, and GitHub will continue to run somewhat independently. A few comments. Background: GitHub is a cloud-based source code repository based on Git, a distributed version control system created by Linus Torvalds. It is free to use for public, open source projects but charges a fee (from 7$ to $21 per user per month) for private repositories. 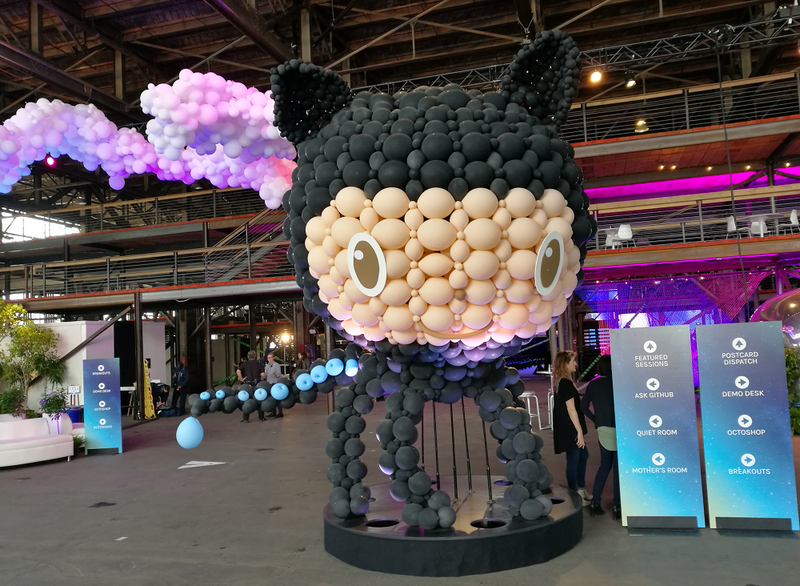 Over the years, we’ve seen a lot of amazing options come and go but at this point, GitHub is the de facto place for open source sharing and most open source projects have migrated there. We migrated too. Microsoft also uses GitHub for its documentation, and this has turned out to be a big improvement on its old documentation sites. When big companies become highly dependent on the services of another company they may become anxious about it. What if the other company were taken over by a competitor? What if it were to run into trouble, or to change in ways that cause problems? Acquisition is an easy solution. In the case of GitHub, there was reason to be anxious since it appears not to be profitable – unsurprising given the large number of free accounts. Second, Microsoft is always pitching to developers, trying to attract them to its platform and especially Azure services. It has a difficult task because it is the Windows company and the Windows platform overall is in decline, versus Linux on servers and Android/iOS on mobile. Therefore it is striving to become a cross-platform company, and with considerable success. I discuss this at some length in this piece. Note that there is a huge amount of Linux on Azure, including “more than 40%” of the virtual machines. More than 50%? Maybe. If Microsoft can keep GitHub working as well as before, or even improve it, it will do a lot to win the confidence of developers who are currently outside the Microsoft platform ecosystem. 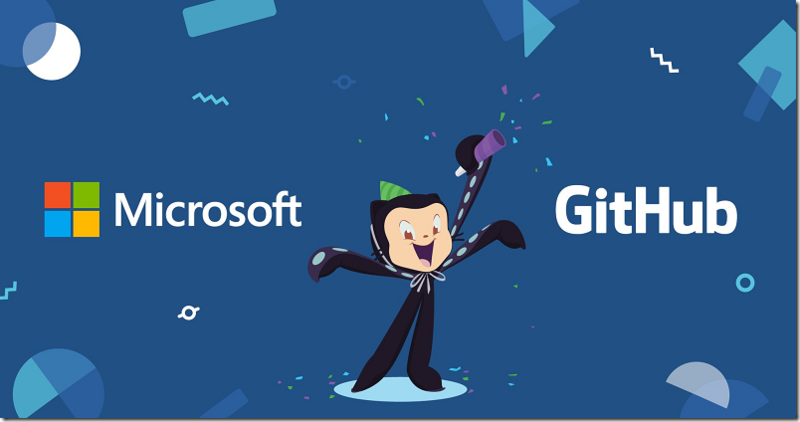 The tricky question: under Microsoft, will GitHub get worse? The company’s track record with acquisitions is spotty, ranging from utter disasters (Nokia, Danger) to doubtful (Skype), to moderately successful so far (LinkedIn, Xamarin). Under the current leadership, I doubt anything bad will happen to GitHub. I’d guess it will migrate some infrastructure to Azure (GitHub runs mainly from its own datacentres as I understand it) but there is no need to re-engineer the platform to run on Windows. Some businesses will be uncomfortable hosting their valuable source code with Microsoft. That is understandable, in the same way that I hear of retailers reluctant to use Amazon Web Services (since it is a platform owned by a competitor), but it is a low risk. Others have long-standing mistrust of Microsoft and will want to migrate away from GitHub because of this. Personally I think it is right to be wary of any giant global corporation, and dislike the huge and weakly regulated influence they have on our lives. I doubt that Microsoft is any worse than its peers in terms of trustworthiness but of course this is open to debate. 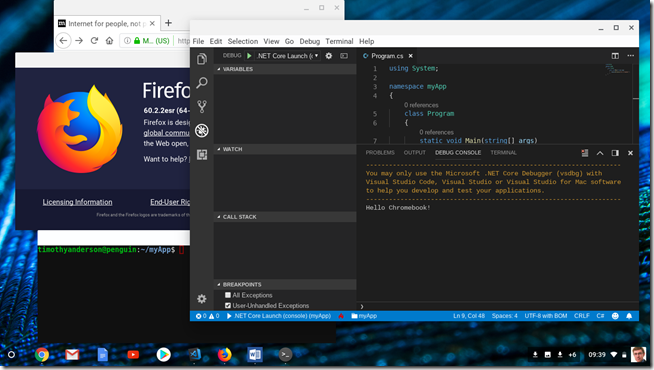 It is of course in Microsoft’s interests to make this work and the success of Visual Studio Code and TypeScript (which also come from the developer side of the company) shows that it can make cross-platform projects work. So I am optimistic that GitHub will be OK.
Update: I’ve noticed Sam Newman and Martin Fowler taking this view, a good sign from a people I respect and who are by no means from the usual Microsoft crowd. 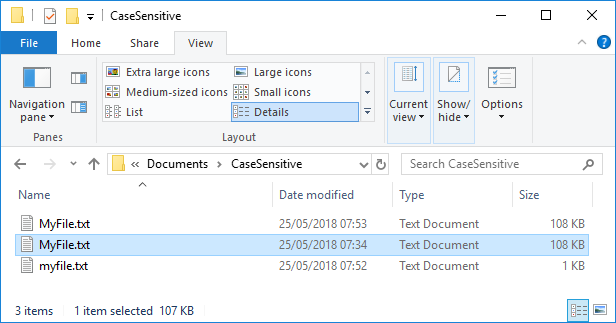 Experienced Windows users will know that occasionally you hit a problem with case sensitivity in file names. The problem is that on Linux, you can have files whose name differs only in case, such as MyFile.txt and myfile.txt. Windows on the other hand will not normally let you do this and the second will overwrite the first. Press F5 and it sorts itself out. Developers may have written applications where a file is specified with different case in different places. Everything is fine; it is the same file. Then you enable case-sensitivity and it breaks, possibly with unpredictable behaviour where the application does not actually crash, but gives wrong results (which is worse). If you are using WSL though, you may well want case-sensitivity. There are even applications which will not compile without it, because there are different files in the source whose name differs only by case. Therefore, WSL has always supported case-sensitivity by default. However, Windows did not recognize this so you had to use this feature only from WSL. 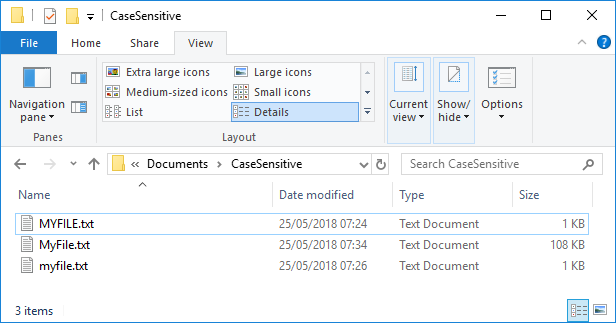 In the new version this has changed and when you create a directory in WSL it will be case-sensitive in both WSL and Windows. 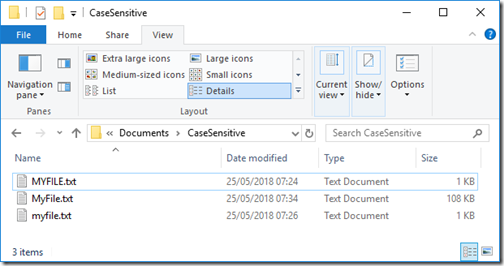 Any directories you created with WSL before build 17093 will not be treated as case sensitive anymore. To fix this, use fsutil.exe to mark your existing directories as case sensitive. Hmm. If you are wondering why that application will not compile any more, this could be the reason. You can set it back to the old behaviour if you want. 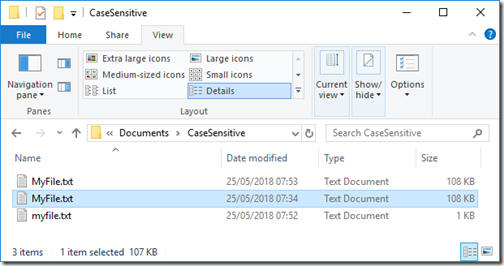 Should Microsoft have made the file system case-sensitive? Possibly, though it is one of those things where it is very difficult to change the existing behaviour, for the reasons stated above. Note that Windows NT has always supported case-sensitive file names, but the feature is in effect disabled for compatibility reasons. It is poor for usability, having files whose names differ only in case which are therefore easily confused. So I am not sure. Being able to switch it on selectively is nice though. 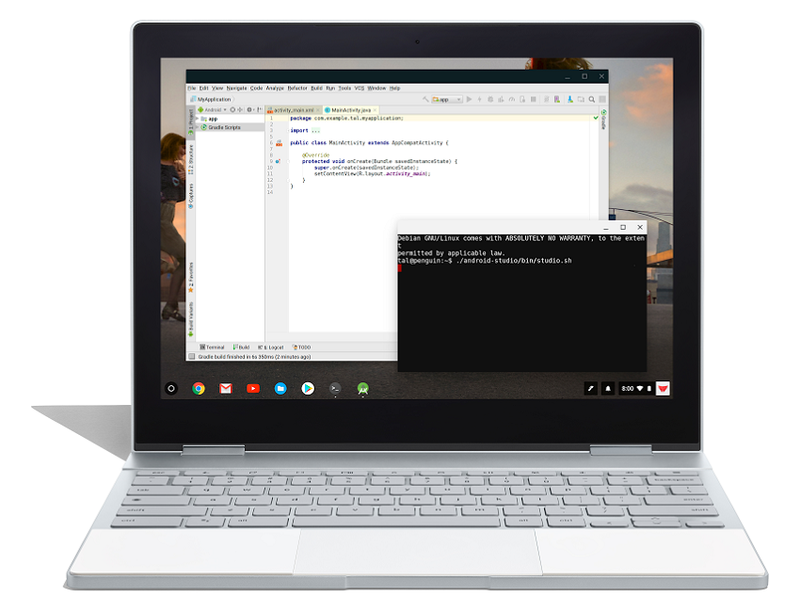 At Google’s IO conference under way in San Francisco, the company has announced the ability for a Chromebook to run Linux applications. Squinting at the screen in Google’s photo, above, it looks like the Linux VM runs Debian. 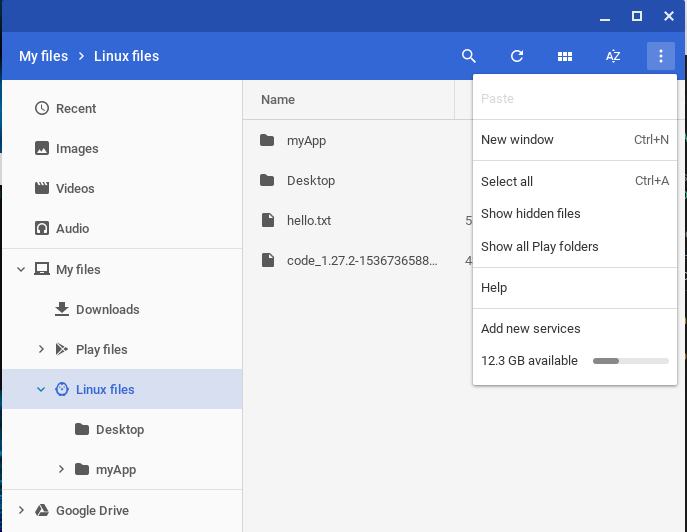 Coupled with the existing ability to run Android apps, the announcement makes Chromebooks more attractive for users (and I am one of them) who would previously have found the operating system too restrictive. Buckley presents the new feature as primarily one for developers. 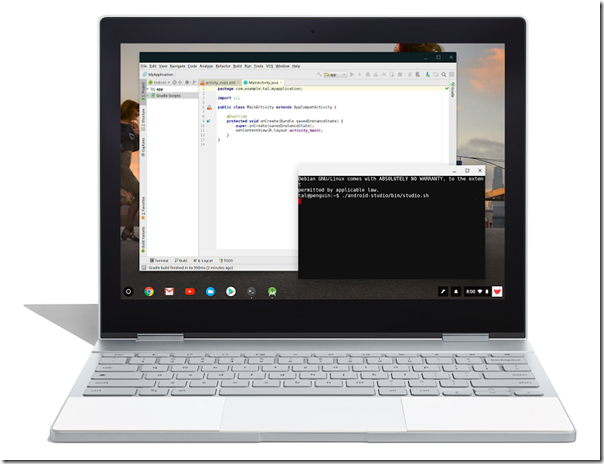 You will be able to build and test Android applications directly on the Chromebook. Given the operating system’s native support for Android, this should be an excellent machine for Android development. One of the first things I would install would be Visual Studio Code, presuming it runs OK. Thanks to .NET Core, ASP.NET development should work. The LAMP stack running locally would be great for PHP development. Personally I would not only use it for coding though. The ability to run LibreOffice would be great, for example. There are also a ton of handy Linux utilities for admins. The key attractions of Chromebooks (aside from low prices from OEM vendors) is security. They are popular in education for this reason. They require less management than PCs because the operating system is locked down and self-patching. The new feature should not compromise security too much, because Linux runs in a VM and in the worst case resetting the VM should clear any malware – though access to user documents could make malware running in the VM quite disruptive. Apple’s iPad Pro is another capable device with a locked down OS, but does not run Linux applications. What about Windows? Microsoft has tried and so far failed to lock down Windows in a manner acceptable to its customers. Windows RT was the first attempt, but users found it too restrictive, partly because the Windows 8 app ecosystem was so weak. Windows S is another attempt; but progress is slow. Microsoft has also weakened the security of its modern app platform to make it more capable, even to the extent of allowing desktop applications into the Windows Store. The approach taken by Apple and Google, to design a new secure operating system and make it gradually more capable, is more viable than Microsoft’s work in the opposite direction. 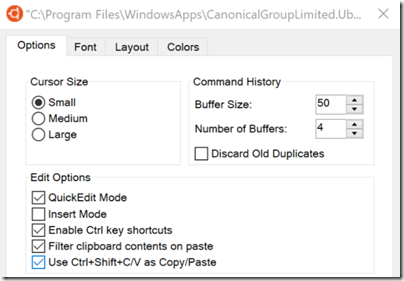 Why Subsystem for Linux in Windows 10 and Windows Server? And what are the implications? Microsoft is busy improving Windows Subsystem for Linux (WSL), the compatibility layer that lets you run Linux on Windows. WSL is not an emulator. It accesses the same file system and you can launch Windows applications from WSL, and vice versa. It also runs actual Linux binaries. The latest announcements cover copy/paste between Linux and Windows, and a tabbed console. Both enhancements are in the skip-ahead insider version of Windows 10, which means they are unlikely to be in the one about to be released, currently known as Spring Creators Update (but rumoured to be getting a name change). In other words, you may have to wait around six months for this to be generally available. I still can’t figure out who this whole "Linux-on-Windows" thing is meant for. Developers who work on both platforms maybe? I guess it would be handy for people who just want to try out Linux before migrating to it, but that’s the last thing Microsoft would want to promote. This is primarily a tool for developers — especially web developers and those who work on or with open source projects. This allows those who want/need to use Bash, common Linux tools (sed, awk, etc.) and many Linux-first tools (Ruby, Python, etc.) to use their toolchain on Windows. There is a bit more to it. Developers are small in number relative to general users, but disproportionately influential, since they make the applications the rest of us run, and if the applications are not there or are inferior, the ecosystem starts to fail and the operating system declines. I am not sure when it was that developers started to prefer Macs, but I noticed this trend many years ago, perhaps from the time that OS X moved to x86 (2006). This was not just about preferring the Mac user interface. In 2008 Apple opened up iOS, its mobile OS, to third-party applications, and a Mac was required for iOS development (this is still the case). It has long been relatively easy to run a Windows emulator on a Mac, but not vice versa, so for developers who want to support multiple target platforms from one computer, the Mac makes sense. OS X / macOS is a Unix-like operating system, based on BSD (Berkeley Software Distribution). This means that moving between Linux and Mac is relatively smooth, from a developer perspective. The same tools are generally available. The internet runs mostly on Linux so the Mac has an advantage there as well. In some cases this is more than just inconvenience. Windows has a long-standing issue with path lengths. MAX_PATH is defined as 260 characters. This limitation can be mostly removed if you have Windows 10 build 1607 or higher. Nevertheless, path issues have made Windows awkward for developing with Java, Node.js, and other languages or frameworks which typically use deeply nested directories. Open source developers perhaps did not care as much about these issues because they were mostly using Mac or Linux. Microsoft has responded by improving Windows as a platform on which to develop applications. Visual Studio now targets Mac, iOS and Android as well as Windows. MAX_PATH has been alleviated as far as possible. WSL however goes much further. You can install and run Linux development tools and utilities such as gcc, perl, sed, awk, grep, wget, openssl, perl and more. There is no MAX_PATH issue. You can run the Linux build of Apache, PHP, MySQL and more. I used WSL to debug a PHP application and explained how here. WSL is not perfect. Not everything is implemented. You can check the current issues here. Still, it is genuinely useful and mitigates the advantages of Mac or Linux for developers. Microsoft has also added WSL to Windows Server. Why? The main focus here seems to be on administrators. 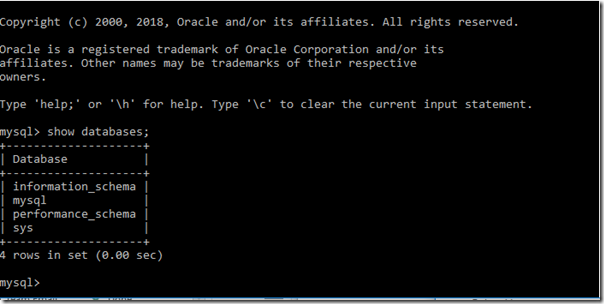 There are times when it is handy to run a Linux command or script on Windows Server. It is not intended for production use as a server, though there is now support for background tasks; however it is still per-session so you would need to keep a user logged on in order to run, for example, a web server. More important, Microsoft has not designed WSL for production use as a server platform so it might not be as optimized or reliable as you require. Where Windows support is needed, developers have many cross-platform options to choose from, a popular choice today being Electron, based on Chromium (the open source foundation of Google Chrome) and Node.js. Today there seems little chance of Windows winning back market share as a mobile operating system, and the importance of desktop applications looks destined for long slow decline. Windows Server remains a significant application platform, but Microsoft is focused more on driving developers to Azure cloud services than on Windows Server itself. SQL Server now runs on Linux, ASP.NET Core is cross-platform, and Azure has excellent support for Linux. All of this leads me to think that WSL will continue to improve, perhaps to the point where production loads are supported on Windows Server, for example. Further, the ability to run Windows applications on Linux (which is more or less what happens in SQL Server for Linux) may become equally as important as the reverse.